We are all very familiar with the common material representations of love. We often see these objects that represent our affection for another person during Valentine’s Day, which is right around the corner. From chocolates, flowers, to paper cutouts of cupid, these represent love and everything it stands for. But, have you ever encountered something representing the same emotion, commonly called love locks? We are all familiar with how Valentine’s Day is celebrated in Western Culture. It could be similar in other parts of Eastern Europe, but in the places we’ve listed below, love can be represented in the form of a lock. People commonly call these as love locks, and it is common practice for a couple to place a lock somewhere in a public place during Valentine’s Day. In fact, it doesn’t even need to be the day of love for couples to “lock in” how they feel for each other. Most often, these love locks are placed on fences, bridges or gates or public fixtures to symbolise a couple’s eternal love for each other. The key is, of course, thrown away so the lock stays in place. When you put a lock on something, it means that you’re trying to keep this something from moving away or getting lost. That’s exactly what lovers want to happen. 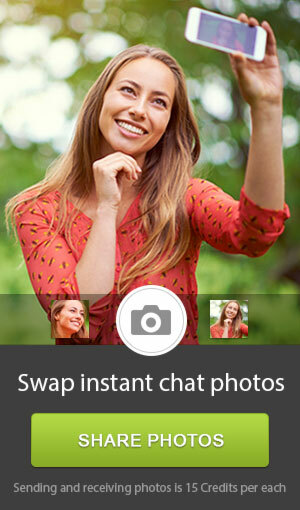 Where can I find love locks in Eastern Europe? 1. Vodootvodny Canal, Moscow, Russia– In the downtown of Moscow, you will find the Vodootvodny canal which is about 30-60 meters wide. The bridge across the canal has man-made structures that look like trees. 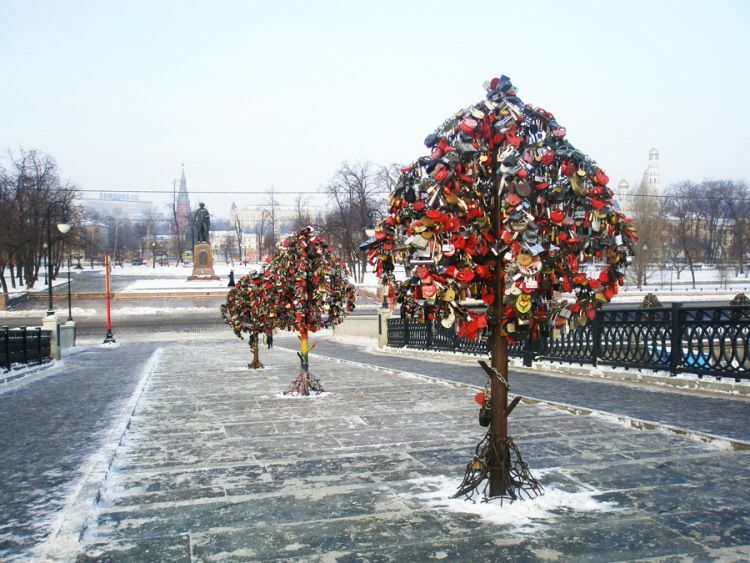 Instead of leaves, love locks adorn its metal branches. 2. Vrnjačka Banja, Serbia– There is a municipality in Western Serbia called Vrnjačka Banja. One of its popular attractions includes Most Ljubavi which, in English, translates to “Bridge of Love”. It is said that this bridge was the earliest mention of the love lock tradition. 3. Malá Strana District, Prague, Czech Republic– Malá Strana is more officially known as Menší Město pražské which means “Lesser Town of Prague’ in English. 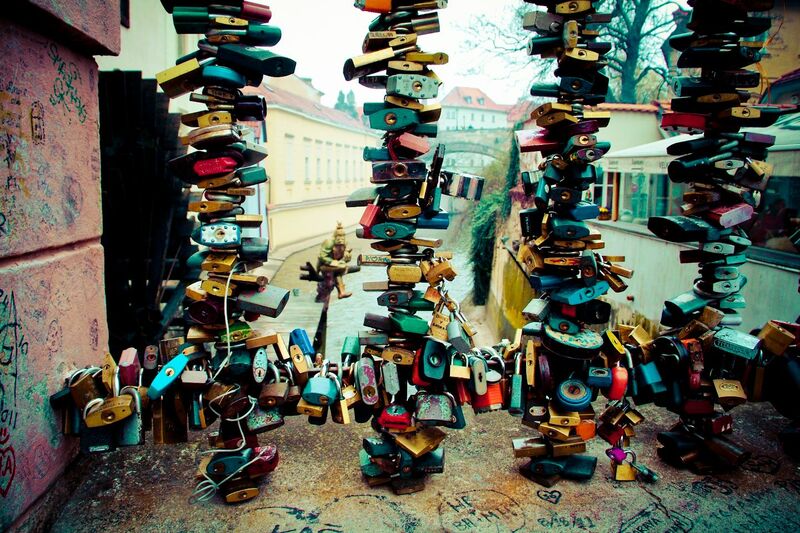 If you go to a pedestrian bridge in the Malá Strana district, you’ll find plenty of love locks. Putting a lock on a public fixture is both a symbol of your love and a declaration to the public that you are with the person you’re with. 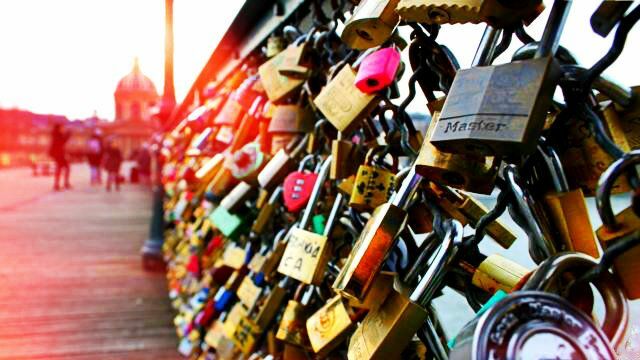 Do you think you can start your own love lock tradition in your city? We have more interesting posts for you to read on the blog. 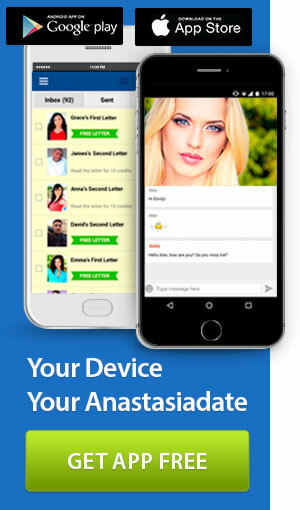 Also, don’t forget to visit AnastasiaDate.com to start online dating.